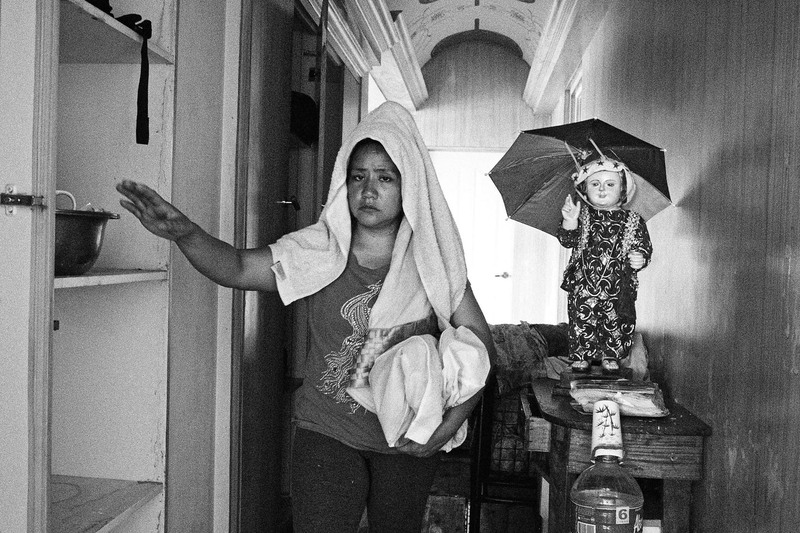 Lynn Rose Logarte survived Typhoon Yolanda (Haiyan) with her elderly father after staying inside a closet in their family home in Sto. Nino, Tanauan in Leyte. Over 50 neighbors crowded into the second floor of the house at the height of the storm. Adults smashed a hole through the ceiling and pushed the children through to keep them out of the rising water. Logarte says many corpses are still scattered across the municipality, buried under debris. Relief is not sufficient, and families are desperate for food, light, batteries and vitamins.